Lil Bub is a star. The adorable “perma-kitten” might look a little different than other felines, but her tiny size, toothless mouth, and extra toes have made her the darling of cat lovers around the world. Aided by her human, this celebri-cat is finally satisfying her demanding public with a book. Showcasing 100 captioned full color photos of Lil BUB —traveling through space, exploring the Earth, flying in hot air balloons, napping, and even skateboarding—Lil BUB’s Lil Book is exactly what her millions of fans want. 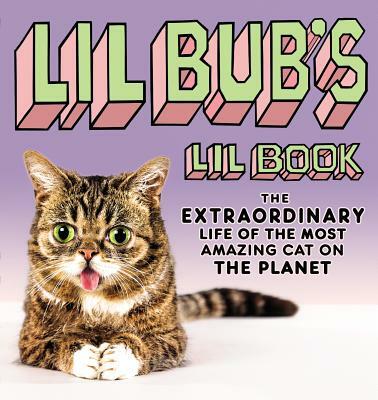 Sure to please fans of LOLcats and Boo: The Life of the World’s Cutest Dog, Lil BUB’s Lil Book is the perfect book for anyone who needs more cute in their lives.